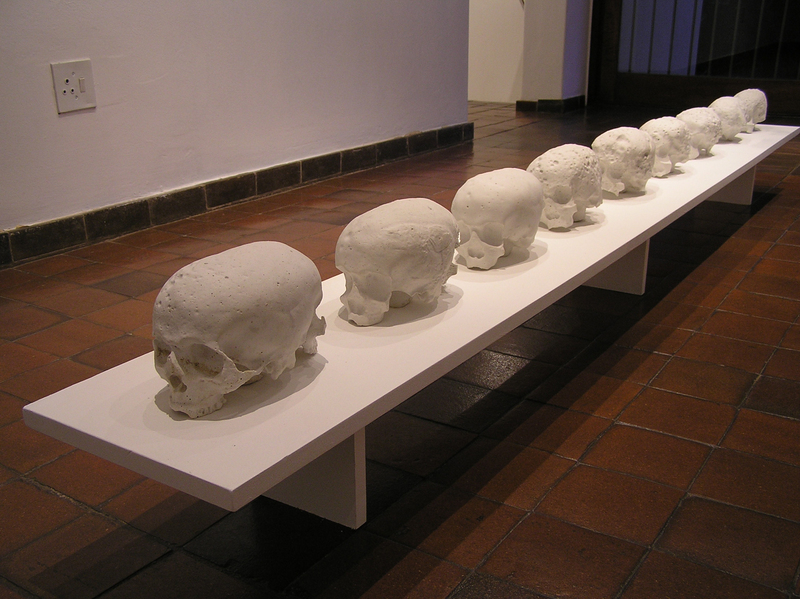 9 Janus-type human skulls were cast in Plaster of Paris as part of a process-based sculptural intervention the artist created in a small, but vibrant waterfall that forms a part of a stream of water running through the Nirox Foundation (situated in the Cradle of Humankind Gauteng, South Africa). 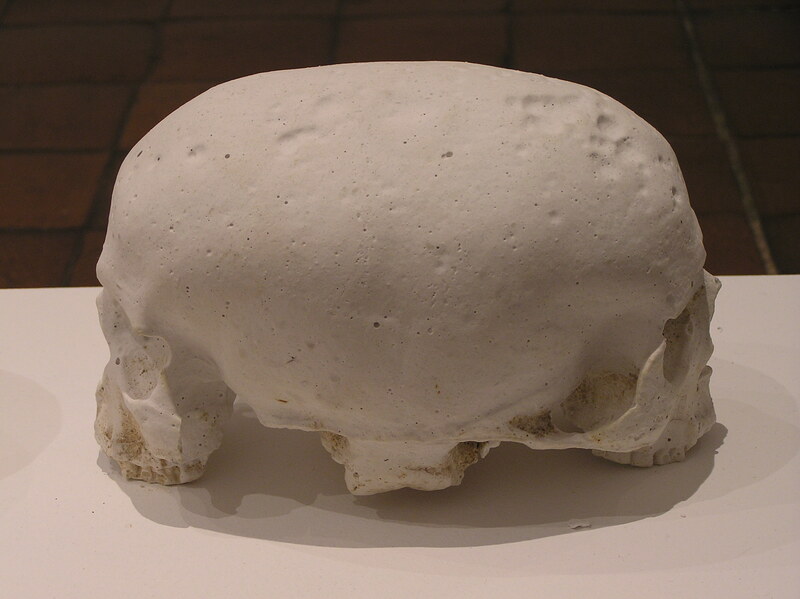 The idea was to create faux fossils that would gradually disappear – through the natural effects of water erosion but also through a time-based process whereby individual skulls were removed from the stream at regulated intervals of 12 hours. The plaster skulls were placed in the stream on Friday the 19th of October at 17h00 and gradually removed during the course the next five days.